The needs of each language or people group will vary...some have no translation, others may only have portions such as John and Romans or a NT while others may need a revision of their current one to give it more maturity. Our experience has shown that some translations are so bad that a complete new translation is needed. The Korean Fundamental Version 2013 is a formal equivalent Translation using as it’s text base, Scrivener's 1894 Greek NT, Hebrew Ben-Chayyim Masoretic Text, The King James Bible, with comparisons to several other Textus Receptus based Korean translations. This work will be copywrited but free for unlimited reproduction. 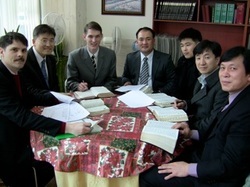 The groundwork for this translation was begun in 2007 with the official organization of a translation committee in 2010. This project is being coordinated by Dr. Jim Taylor but includes the active participation of 12 other translators and consultants as well. The translators work in two separate teams consisting of Korean nationals and Korean speaking missionaries who both translate and proof the work accomplished by the other team. 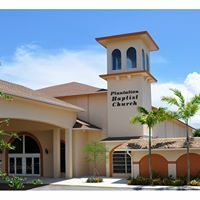 These teams consist of pastors, missionaries, and academicians holding Master’s and Doctorates degrees in various areas of Theology with extensive training and experience in Biblical and Korean languages. A bilingual Korean/English 1st edition was completed and printed in early 2011. Funds were raised by BPS Global for the first printing of 100,000. A second printing of 50,000 was accomplished and funded by the Korean churches in 2012. In early 2013 the first draft of the whole Bible was printed and is in use by the Korean leaders for observation and critical analysis prior to its public printing and distribution. The projected date for first printing of the whole Bible will be in the Fall of 2014.